Give us a call for a free no obligation quotation and we’ll get back to you as soon as we’re able. All roofing requirements. For commercial and domestic applications. New roofing , all roof repairs and maintenance, roof cleaning and painting. Specialists in vertical extensions, mezzanine floors, room in the roof, loft rooms. 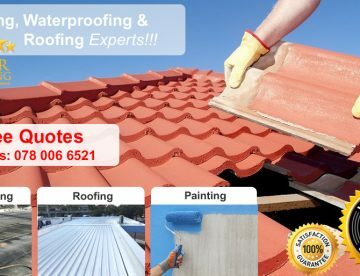 Waterproofing and leak repairs to roofs. 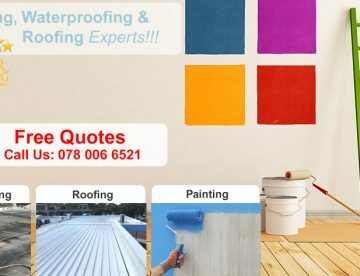 All roof types fitted or repaired from IBR roofing sheets, slate roofing, tiled roofs to Zincalume roofing. 20 years experience, SABS approved products and materials used, on site management and hands on project management.